Article: Telemundo Announces Its Launch Of Telemundo International Studios Set To Bring Out More Short-Form Content! 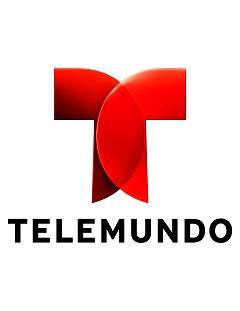 Telemundo is known for bringing out some of the most spectacular content for all of its viewers – from entertainment to politics segments and other outstanding shows, viewers always find themselves glued to their TV screens watching the best shows and content that the network has to offer. Now, with all of the magnificent successes of Telemundo and working together with the digital world we live in, Telemundo has just announced that it will be creating its Telemundo International Studios which will bring out more short-form content. How exciting! Telemundo’s International Studios will be based out of Miami and hire some of the greatest producers and talent to be a part of the masterpieces that will be produced from the studios. Marcos Santana, President Telemundo International said, “The launch of Telemundo International Studios is a representation of the growth of our division, which further develops the expansion of our offer, increasing our catalog and distribution opportunities for markets and platforms that demand programming for a well-defined audience with established consumption habits. I am excited and feel privileged to work on this new project, from its conception, with Cesar Conde and the support of Comcast NBCUniversal” (source: press release). This is another one of Telemundo’s many sensational and awe-inspiring achievements and it opens the doors to many more remarkable content being produced by the extraordinary network. Be sure to stay connected with Telemundo by following @Telemundo on Twitter and Instagram to find out when more short-form content will be available for you to enjoy. Previous VIPAccessEXCLUSIVE: 5 Reasons Why You Should Head On Over And Get Your Lashes Done At The BlinkBar! Next Article: Madisyn Shipman, Addison Riecke, And Lizzy Greene Had A Fantastic Time At Instagram’s Halloween Horror Nights Event!